Think you know about karting? Well, unless you’ve raced in a kart with a 270cc engine, think again. When it comes to go karting, speed is everything. Here at Cannon Raceway, we are proud to host some of the only 270cc/9hp karts in the Midlands. Nothing quite beats the feeling of zipping around an indoor go karting track. It’s a great sport for anyone to get involved in because although it’s great fun for novices, there’s plenty of room to improve your skills and practicing hard brings its own rewards. 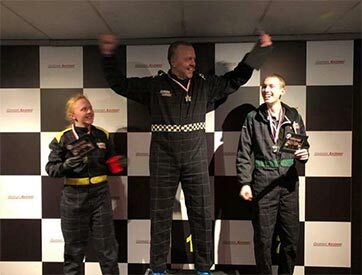 Once you start racing you’ll realise fast karts give you the best adrenaline rushes and racing in a kart with a 270cc engine gives you a go karting experience like no other. A powerful kart comes into its own on longer straight sections of track, but to negotiate a full course you’ll need to know how to handle corners like a pro too. 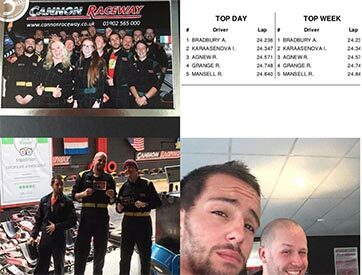 At Cannon raceway, our staff members are crazy about karting and are always happy to lend a few tips to new or experienced drivers. If you’re interested in picking up some pointers about how to improve your average lap time and become a safer or all round better karter, keep an eye out for our upcoming blog posts, where we’ll be revealing some pro tips. A lot of people who visit us aren’t actually sure what cc means. It stands for cubic centimetre and refers to the size of the engine cylinder where the combustion takes place. It’s not a term that’s unique to karting; you might have heard of it relating to motorbikes or cars. Essentially, the bigger the cc, the better the kart’s performance in terms of speed and acceleration. A 270cc kart can reach speeds of between 60-80 mph. Kids will typically start with less powerful karts and work their way up through different categories. 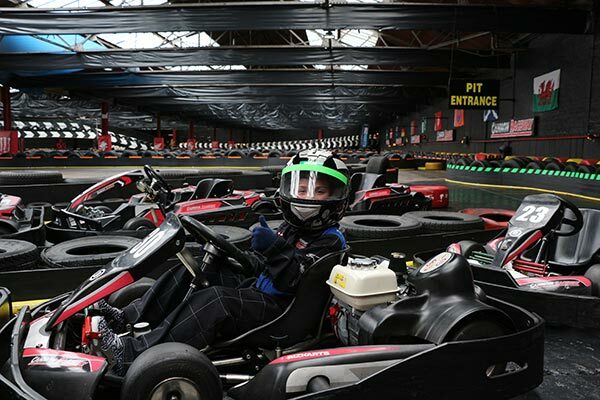 At Cannon, we offer go karting for kids from the ages of 8 upwards and those over 13 are able to enter our adult races. 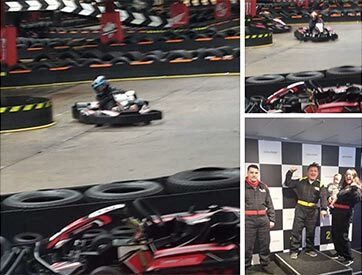 We are really proud of our indoor karting track at Coseley. The course features several authentic features that are a found on many F1 circuits, such as hairpin turns, “S” bends, chicanes and a home straight. 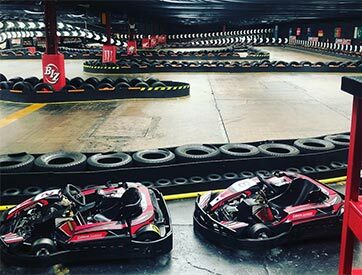 Our 270cc karts are perfect for making the most of this exciting course; the fast acceleration time lets you gain speed quickly when coming out of corners and you’ll love hurtling down the straights at top speed. 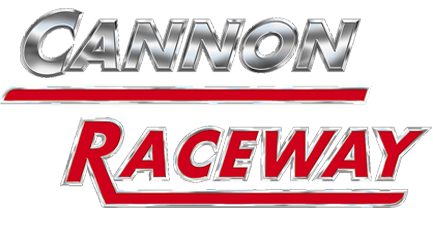 Whether you’re young or old, a novice or an experienced karter, there’s something for everyone at Cannon Raceway. Check out our website for details about our corporate events, kids parties, laser tag and stag/hen do offers. We’re just a short drive from Birmingham, Wolverhampton, Stourbridge and Dudley.